Dr. Karen Heiden is the hand and upper extremity specialist at Heiden Orthopedics. She earned her medical degree from Stanford University, and supplemented her education with an internship in general surgery and a residency in orthopedic surgery at the University of California Davis Medical Center, where she also completed a fellowship in hand surgery. While in Sacramento, she practiced as a hand surgeon and assistant professor of orthopedic surgery at U.C. Davis. Dr. Karen Heiden and her husband, Dr. Eric Heiden, came to Utah in 2006, and worked at “The Orthopaedic Specialty Hospital” (TOSH). In 2008, Drs Karen and Eric Heiden established their own orthopedic practices in Park City and Salt Lake. Dr. Karen Heiden is actively involved in a number of community organizations, and is particularly interested in support of cancer foundations, women’s health, and underprivileged populations. 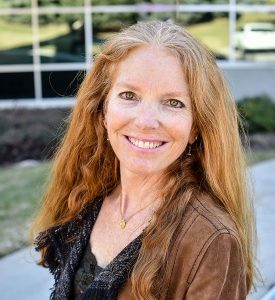 Dr. Karen Heiden enjoys nordic skiing, karate, running and outdoor life, and is proud to serve the Park City and Salt Lake City communities with Heiden Orthopedics.